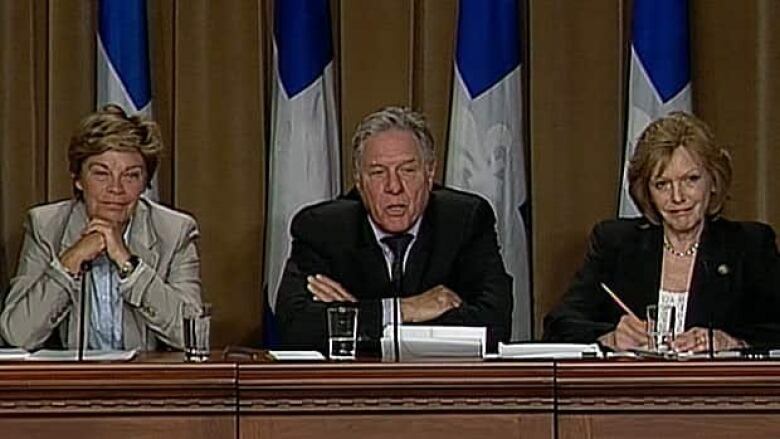 Three influential Parti Québécois members of the national assembly have quit Quebec's sovereigntist party, largely because of a controversial bill to protect the provincial capital and its management deal on the city's new hockey arena. Parti Québécois Leader Pauline Marois is "shocked" by the abrupt departure of three influential members of her sovereigntist party over proposed legislation dealing with a future Quebec City arena, and she warned the move would only benefit Quebec's ruling Liberal Party. A visibly tense Marois addressed reporters in Quebec City on Monday afternoon, shortly after three of her most prominent MNAs – Louise Beaudoin, Pierre Curzi and Lisette Lapointe – announced they were quitting the PQ to sit as Independents, effective immediately. "It's a shock for sure," Marois said. "During the weekend I tried to have a discussion with the three. I called them, they didn't return the phone call." The sudden resignation was brought on by Bill 204. PQ member Agnès Maltais sponsored the private bill, which would protect the City of Quebec from legal action after the multimillion-dollar deal it made with media giant Quebecor to operate the future arena. The legislation would declare the deal legal, even though the city bypassed a public tender process. 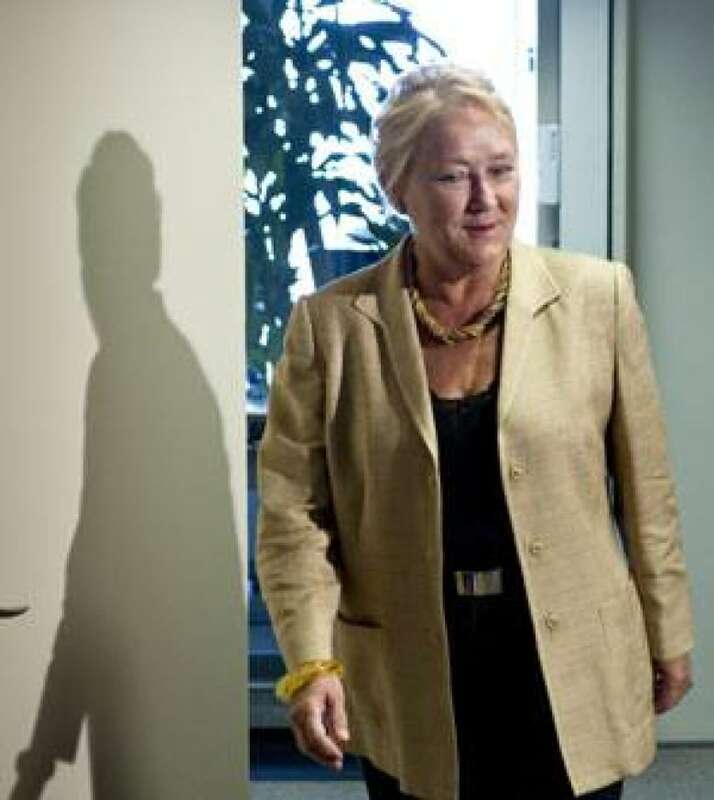 Marois has decided to support Bill 204 and asked her caucus to vote along party lines. It was the final straw for Beaudoin, Curzi and Lapointe, who said the opposition PQ has become increasingly obsessed with power, and they can no longer work with the party and still be loyal to their convictions. Marois said she gave all three a choice on Bill 204. "I spoke to them this morning, I gave them an option, that I was open, and if they didn't support the bill, they didn't have to vote on it. So your make your own conclusions. "The only winner here is [Premier] Jean Charest and the Liberals." Talk had been swirling of a party rift over Bill 204, which was tabled May 26. "I'm very uncomfortable with the positions taken by the PQ, and Bill 204 was the straw that broke the camel's back," Lisette Lapointe told reporters earlier Monday. Louise Beaudoin, a former PQ cabinet minister, said she's been with the party since 1970 and she's leaving without bitterness. "I think that this kind of traditional politics is over, and citizens don't accept it anymore, they don't believe us anymore," said Beaudoin, who said she's disappointed Marois opted to support the legislation without consulting her caucus. "There's a confidence crisis between the political class and the citizens. I really believe that profoundly." Pierre Curzi, a popular actor turned politician, said he also felt obliged to leave the party because Bill 204 is a blatant violation of a fundamental principle of democracy "that allows all citizens to contest — even before the courts — a government decision." Reaction to the bombshell resignations was swift, and fierce about the party's prospects. 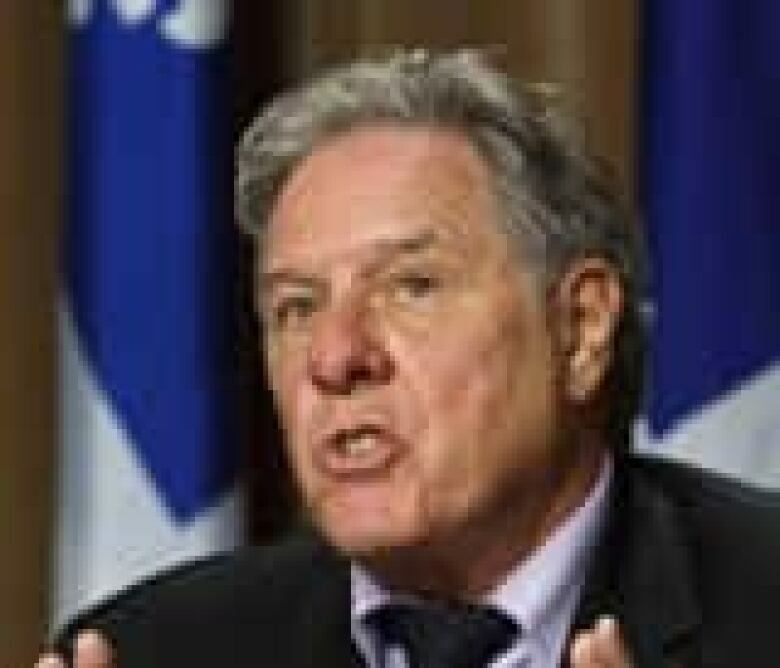 Influential Péquiste and popular columnist Jean-François Lisée warned the departure of elected members over the Quebec City arena deal would be the "worst case scenario" for the party. "That will make life very difficult for the PQ, which is leading in the polls but in a very fragile political situation," said Lisée, a former PQ adviser to two sovereigntist premiers. "This would compound the difficulty of bringing the PQ to power."